Our nation’s sewer infrastructure is deteriorating faster than we can repair it, and winning the fight means inspecting smarter. Developed by NASSCO, The Pipeline Assessment and Certification Program (PACP) is a framework for capturing detailed, shareable data from sewer inspections—data that’s compatible with computer analysis so you can generate maintenance strategies that maximize your budget and impact. 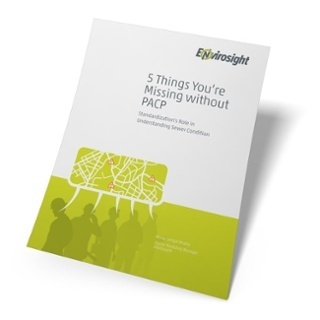 In a new FREE white paper, Envirosight shares five specific ways municipalities can benefit from PACP.